Though we never hesitate to call out bad practice in waste handling across the commercial sector, those tasked with clinical waste management within healthcare establishments too often slip under the radar. The following Front Page photo speaks volumes. 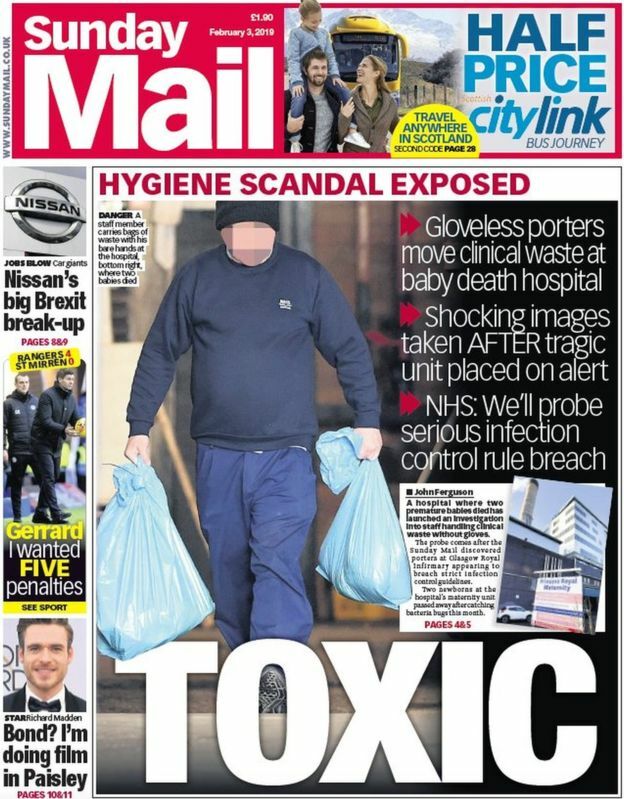 It’s just a pity, for the sake of accuracy since the journalists no doubt seek to link this to Scotland’s HES Ltd clinical waste problems, that the bags this chap carries were blue and not orange or yellow!